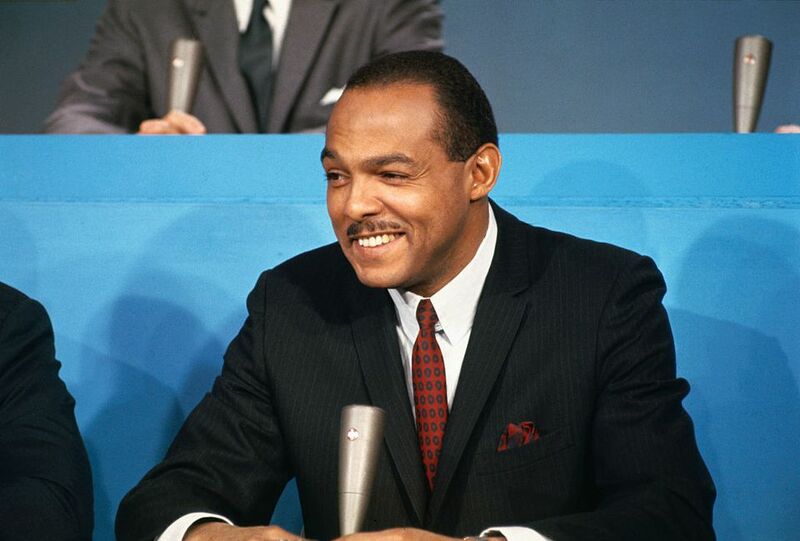 Carl B. Stokes is best known for being Cleveland's 51st mayor -- the first African-American mayor of a major United States city. He was also a soldier, a lawyer, a member of the Ohio House of Representatives, a broadcaster, a judge, a father, brother to a Congressman, and a US Ambassador. Carl Burton Stokes was born in Cleveland in 1927 the second son of Charles and Louise Stokes. His parents were from Georgia and had come north during the "Great Migration" in pursuit of better social and economic opportunities. His father was a laundryman and his mother a cleaning woman. Charles Stokes died when Carl was just two years old and his mother raised her two boys in the Outhwaite Homes housing project on E 69th St. Eager to escape the poverty of his childhood, Stokes dropped out of high school in 1944 and worked briefly for Thompson Products (later to be TRW). In 1945, he joined the army. After his discharge in 1946, he returned to Cleveland; finished high school; and, aided by the GI Bill, graduated from the University of Minnesota and later from Cleveland Marshall Law School. Stokes began his political career in the Cleveland prosecutor's office. In 1962, he was elected to the Ohio House of Representatives, a job he held for three terms. In 1965, he was narrowly defeated in a bid for mayor of Cleveland. He ran again in 1967 and just beat (he had 50.5% of the vote) Seth Taft, grandson of President William H. Taft. With his victory, the era of black political power in the US had come of age. Stokes inherited a Cleveland that was racially polarized, with virtually all of black Clevelanders (99.5%)living on the east side of the Cuyahoga River, many crowded in older, aging neighborhoods. Stokes increased the city's income tax and won voter approval for schools, housing, the zoo, and other city projects. He also created the "Cleveland Now!" program, a privately funded organization to aid a wide range of community needs. The early enthusiasm of his administration was marred when Cleveland's (largely black) Glenville neighborhood erupted in violence in 1968. When it was learned that the organizers of the riots had received funding from "Cleveland Now! ", donations dried up and Stokes' credibility suffered. He chose not to seek a third term. After leaving the mayor's office in 1971, Stokes moved to New York City, where he became the first African-American anchorman in that city in 1972. In 1983 he returned to Cleveland to serve as a municipal judge, a post he held for 11 years. In 1994, President Clinton appointed him U.S. Ambassador to the Republic of the Seychelles. Stokes was married three times: to Shirley Edwards in 1958 (they divorced in 1973) and to Raija Kostadinov in 1981 (they divorced in 1993) and again in 1996. He had four children -- Carl Jr., Cordi, Cordell, and Cynthia. His brother is former US Congressman, Louis Stokes. His nieces include Cleveland Judge Angela Stokes and broadcast journalist Lori Stokes. Carl Stokes was diagnosed with cancer of the esophagus while stationed in the Seychelles. He returned to be treated at the Cleveland Clinic, where he passed away in 1996. He is buried at Cleveland's Lake View Cemetery, where is grave marker says "Ambassador Carl B. Stokes," a job of which he was most proud. Each June 21 on the anniversary of his birth, a group of Clevelanders celebrate his life at the grave site.